Hassle free solution. Hire drivers from EziDrive to drive you around. Experience the professionalism of driving with EziDrive. Available at your disposal are professional drivers and a range of well maintained vehicles across segments (Hatchback, Sedan, MUV) that can be tracked on real time basis. Book our Driver or Cab through Phone, Online or App. Just download our EziDrive App. Track your car / driver with GPS locater. Go cashless. Share your trip feedback. Happy to make you happy! EZI Drive is the pioneer and leader in driver hire services having done a successful run of 10+ years, 20,00,000+ bookings and 100,000+ satisfied customers and growing. The company is currently operational in Bangalore and Chennai and is planning to open shop in other major cities in the near future. The company has a large team of experienced, reliable and professional car drivers for hire having thorough knowledge of the city. We do a thorough criminal background check on all our car drivers in Chennai and Bangalore before confirming them permanently in our system. Ezi Drive is one of the largest and most reputed providers of cab services in Bangalore and Chennai with a 150+ fleet combination of dedicated and on-demand vehicles being attached to the company. We have a good spread of well maintained fleet across vehicles types viz. Indica, Sedan, Xylo, Innova, Tempo Traveller. 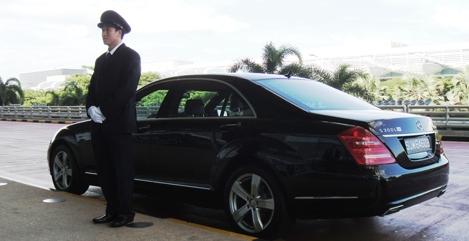 You can select cab service as per your need and budget. Ezi Drive caters to all cab hire requirements of a customer right from One-way drop to Round trips (within city limits), Airport transfer to Outstation travel, Regular office pick-up & drop to Monthly / Weekly deployments of vehicles. Ezi Drive is the Pioneer & Leader in Driver Hire services and one of the leading providers of Cab Hire and Online Cab booking services in Bangalore and Chennai. EziDrive has a large pool of experienced, reliable (background verified) and professional car drivers for hire in Chennai and Bangalore having thorough knowledge of the city. The company.s USP is its IT and Support infrastructure. An indigenously built robust software system running on a high availability server architecture supports a 24*7 service and support desk, manned by dedicated customer service personnel. In addition to 24*7 phone booking facility, customers can also hire a driver or rent a car either through our Online portal or Mobile App. 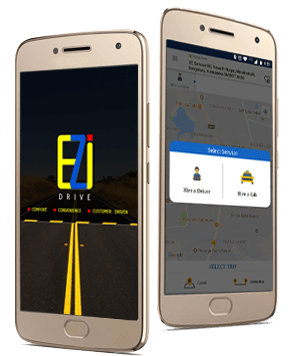 EZI Drive Mobile App for car rental in Bangalore and Chennai with drivers is now available in android (Google play store) and has enough features to enrich a customer.s experience through ease of booking, real time tracking of driver / cabs (GPS), cashless payment, SOS function, online identification of allocated drivers, online trip feedback & booking history access. The EziDrive iOS App for online booking of Cab hire and Driver hire is work-in-progress and will be made available shortly. Available at your disposal are a range of well maintained vehicles across segments (Hatchback, Sedan, MUV) that can be tracked on real time basis. Book our Cab through Phone, Online or App.